Information on the conference dinner is available on the web page. Up to now, 650 talks have been submitted to the ICCOPT 2019. We thus expect the ICCOPT to become a very successful meeting of an alive community. Nominations/submissions for the Best Paper Prize for Young Researchers in Continuous Optimization can be submitted by Apr 15, 2019. Applications for financial support can be submitted by Apr 1, 2019. Details on eligibility and the application procedure can be found on the webpage linked below. The deadlines for submission of organized sessions and talks were shifted to Mar 17, and Apr 7. ICCOPT 2019, the Sixth International Conference on Continuous Optimization, will take place on the campus of the Technical University (TU) of Berlin, August 3-8, 2019. The ICCOPT is a flagship conference of the Mathematical Optimization Society (MOS), organized every three years. World-renowned cultural and research institutions, a thriving creative scene and its rich history make Berlin a popular place to live, work and travel. 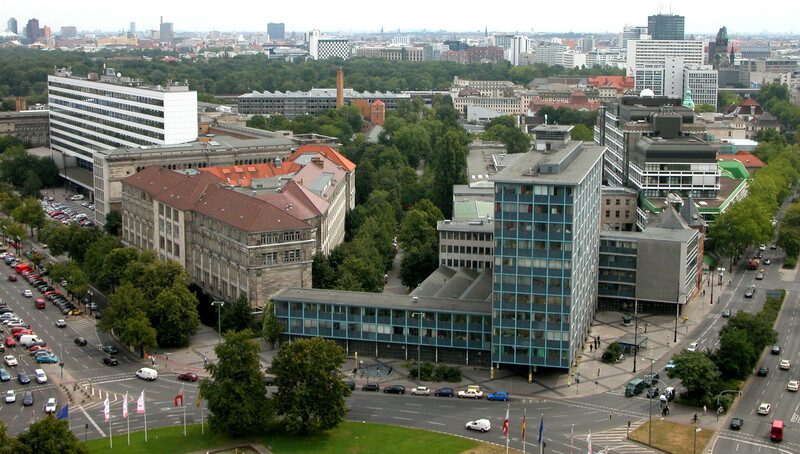 The venue of the conference is located in the City West, one of the main commercial areas in Germany's capital. We invite researchers and practitioners working in the field of optimization to join us and enjoy Berlin's convenient travel facilities, almost unlimited recreational possibilities, an open-minded and international atmosphere, and a lot of exciting mathematics in the summer of 2019! Each talk or minisymposium is assigned to a thematic cluster. When submitting your contribution, please choose the most relevant topic from the list of available clusters at ICCOPT 2019. The ICCOPT 2019 will schedule a poster session. If you would like to present a poster, please submit its title and abstract via the conference web system Converia. You also need to connect you poster to one of the topic clusters of the conference. posters need to be printed, and delivered to the venue. More information on the poster logistics will be available after Apr 26, 2019. Certified by a thesis adviser or postdoctoral mentor as a well-polished paper that is ready for submission to a journal. Each paper must have at least one qualifying author who was under age 30 on January 1, 2014, or has not earned a Ph.D before that date. In case of joint authorship involving senior researchers (i.e., those who fail both the age test and the Ph.D. test), one senior author must certify the pivotal role and the relevance of the contribution of the qualifying author in the work. In case of joint authorship involving a senior researcher, a certification by the latter individual about the qualifying author’s pivotal role and relevance of the contribution. Up to three papers will be selected as finalists of the competition. The finalists will be featured in a dedicated session at ICCOPT 2019, and the prize winner will be determined after the finalist session. The Best Paper Prize in Continuous Optimization will be presented at the conference banquet. The finalists will receive free registration to the ICCOPT 2019 and to the conference banquet. Their university or department should cover the travel costs, but finalists can apply for an ICCOPT travel grant. All the three finalists will receive a diploma, and the winner will be presented an award of 1000 EUR. The scientific program of the ICCOPT 2019 consist mainly of organized sessions. You can submit your invited or contributed session via the conference web system Converia. During the process, title and abstract of the session, as well as names and email addresses of the suggested speakers and the preliminary titles of their talks need to be given. Your speakers will be informed about the submission, and can adjust their personal data, and from Mar 22, 2019 to Apr 7, 2019, also their titles and abstracts. Please connect the session to one of the topic clusters of the conference. Organized sessions will be scheduled in groups of 3 talks. The minimum number of talks in a session is thus 3. You may also compose your session of a multiple of three talks. Session organizers are usually expected to participate in the conference, and will be assigned as session chairs during the conference. Session organizers can of course contribute a talk in their own session. Submit invited or contributed talks via the conference web system Converia. During the process, title and abstract of the talk, as well as names and email addresses of possible co-authors need to be entered. If applicable, co-authors will be informed about the submission. Please also connect the talk to one of the topic clusters of the conference. every participant is allowed to give at most one talk at the ICCOPT 2019. We consider nonconvex optimization problems in which coordinate-wise type optimality conditions are superior to standard optimality conditions such as stationarity. Among the models that we explore are those based on difference of convex (DC) functions, as well as models including sparsity-inducing terms. We illustrate that the hierarchy between optimality conditions induces a corresponding hierarchy between various optimization algorithms. Amir Beck is a Professor in the School of Mathematical Sciences at Tel-Aviv University. He has published numerous papers, has given invited lectures at international conferences, and was awarded the Salomon Simon Mani Award for Excellence in Teaching and the Henry Taub Research Prize. His research interests are in continuous optimization, including theory, algorithmic analysis, and applications. He is an associate editor of Mathematics of Operations Research, Mathematical Programming Series A, Mathematical Programming Series B, the Journal of Optimization Theory and Applications and was an area editor for optimization in Operations Research. His research has been supported by various funding agencies, including the Israel Science Foundation, the German-Israeli Foundation, the Binational US-Israel foundation, the Israeli Science and Energy Ministries and the European community. Tensor decomposition discovers latent structure in higher-order data sets and is the higher-order analogue of the matrix decomposition. Variations have proliferated, including symmetric tensor decomposition, tensor completion, higher-order singular value decomposition, generalized canonical tensor decomposition, streaming tensor decomposition, etc. All of these scenarios reduce to some form of nonconvex optimization. In this talk, we discuss the use of randomized optimization methods, including stochastic gradient methods and sketching. Such approaches show amazing promise, not only improving the speed of the methods but also the quality of the solution. We give examples of the intriguing successes as well as notable limitations of these methods. We close with a number of open questions, including important open theoretical challenges. 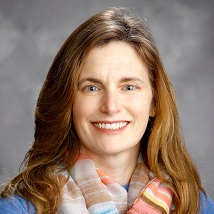 Dr. Tamara G. Kolda is a Distinguished Member of the Technical Staff at Sandia National Laboratories. She has published work in a number of areas including tensor decomposition, numerical optimization, network science, data mining, parallel computing, and scientific software. She was named a Distinguished Scientist of the Association for Computing Machinery (ACM) in 2011 and a Fellow of the Society for Industrial and Applied Mathematics (SIAM) in 2015. She is currently an elected member of the SIAM Board of Trustees and a member of the Board on Mathematical Sciences and Analytics for the United States National Academies. She is the founding Editor-in-Chief for the new SIAM Journal on the Mathematics of Data Science (SIMODS). We address two sets of fundamental problems in the context of equilibrium problems: (i) Of these, the first pertains towards the development of existence statements for stochastic variational inequality and complementarity problems. A naive application of traditional deterministic existence theory requires access to closed-form expressions of the expectation-valued map; instead, we develop a framework under which verifiable a.s. requirements on the map allow for making existence claims in a broad set of monotone and non-monotone regimes. Time permitting, we consider how such avenues can allow for building a sensitivity theory for stochastic variational inequality problems. (ii) Our second question considers the development of synchronous, asynchronous, and randomized inexact best-response schemes for stochastic Nash games where an inexact solution is computed by using a stochastic gradient method. Under a suitable spectral property on the proximal best-response map, we show that the sequence of iterates converges to the unique Nash equilibrium at a linear rate. In addition, the overall iteration complexity (in gradient steps) is derived and the impact of delay, asynchronicity, and randomization is quantified. We subsequently extend these avenues to address the distributed computation of Nash equilibria over graphs in stochastic regimes where similar rate statements can be derived under increasing rounds of communication and variance reduction. 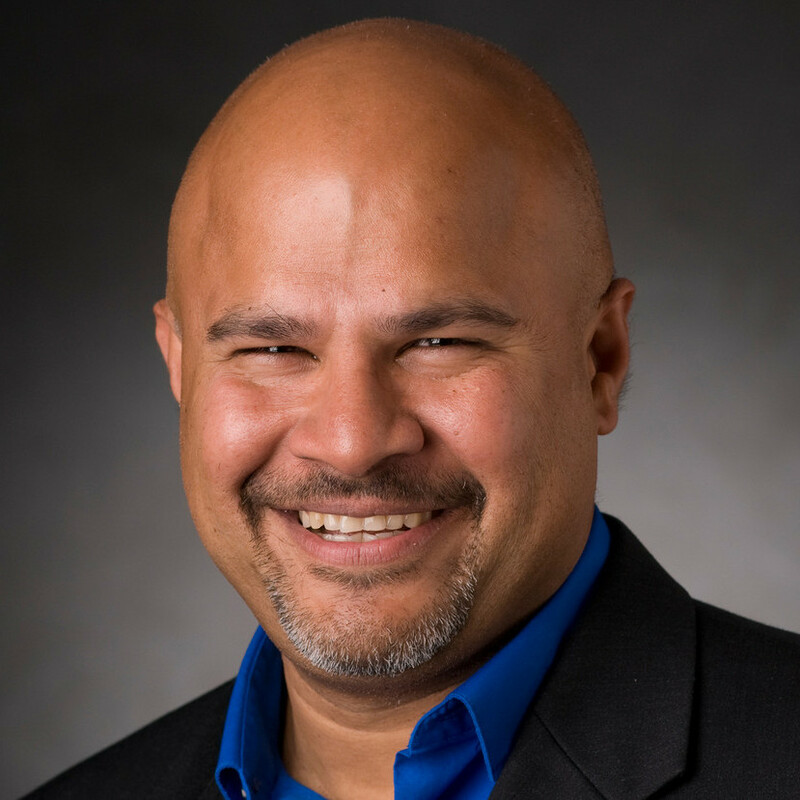 Uday V. Shanbhag has held the Gary and Sheila Chaired Professorsip in the department of Industrial and Manufacturing Engineering (IME) at the Pennsylvania State University since Jan. 2017, having been a tenured associate professor since arriving in Fall 2012. Prior to being at Penn. State, from 2006–2012, he was first an assistant professor, and subsequently a tenured associate professor, in the department of Industrial and Enterprise Systems engineering (ISE) at the University of Illinois at Urbana-Champaign (UIUC). His research honors include the triennial A.W. Tucker Prize by the mathematical programming society (MPS) in 2006, the NCSA Faculty Fellowship in 2006, the Computational Optimization and Applications (COAP) best paper award (with advisor Walter Murray) in 2007, and the best theoretical paper award in the Winter Simulation Conference (WSC) in 2013 (with Angelia Nedich and Farzad Yousefian). Additionally, he was awarded the National Science Foundation (NSF) Faculty Early Career Development (CAREER) award in 2012 from the Operations Research program. Several of his doctoral students have been recognized by a range of honors including Uma Ravat (best student paper prize at the triennial International Conference on Stochastic Programming (2010)). His service related activities include co-chair of the INFORMS Nicholson paper prize committee and currently serves as an associate editor for Computational Optimization and its Applications (COAP) and IEEE Transactions on Automatic Control. He holds a Ph.D. from Stanford University's department of Management Science and Engineering (2006), with a concentration in operations research and was associated with the Systems Optimization Laboratory when at Stanford. He also holds masters and undergraduate degrees from the Massachusetts Institute of Technology (MIT), Cambridge (in Operations Research, 1998) and the Indian Institute of Technology (IIT), Bombay (1993), respectively. Nonsmoothness arises in PDE-constrained optimization in multi-faceted ways and is at the core of many recent developments in this field. This talk highlights selected situations where nonsmoothness occurs, either directly or by reformulation, and discusses how it can be handled analytically and numerically. Projections, proximal maps, and similar techniques provide powerful tools to convert variational inequalities and stationarity conditions into nonsmooth operator equations. These then enable the application of semismooth Newton methods, which belong to the most successful algorithms for inequality constrained problems with PDEs. Nonsmoothness also arises in problems with equilibrium constraints, such as MPECs, or with bilevel structure. This is particularly apparent when reduced problems are generated via solution operators of subsystems. Similarly, nonlinear PDEs, even if looking smooth at first sight, often pose challenges regarding the differentiability of the solution operator with respect to parameters such as control or shape. There are also important applications where nonsmoothness arises naturally in the cost function, for instance in sparse control or when risk measures like the CVaR are used in risk-averse PDE-constrained optimization. Also other approaches for PDE-constrained optimization under uncertainty exhibit nonsmoothness, e.g., (distributionally) robust optimization. All this shows that PDE-constrained optimization with nonsmooth structures is a broad and highly relevant field. This talk discusses specific examples to highlight the importance of being able to master nonsmoothness in PDE optimization. General patterns are identified and parallels to the finite dimensional case are explored. The infinite dimensional setting of PDEs, however, poses additional challenges and unveils problem characteristics that are still present after discretization but then are much less accessible to a rigorous analysis. Michael Ulbrich is Professor of Mathematics and Director of the Chair of Mathematical Optimization at the Technical University of Munich (TUM), Germany, since 2006. From 2007 to 2010, he served as the Dean of Academic Affairs and 2012-2015 as the Vice Dean of the Department of Mathematics at TUM. He is a secondary member of the Department of Informatics. 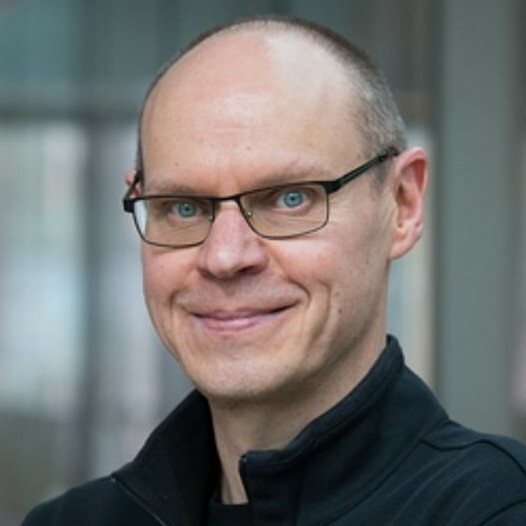 Before joining TUM, he was a Professor at the University of Hamburg (2002-2006) and the Coordinator of the Center for Optimization and Approximation (2003-2006). Funded by the Deutsche Forschungsgemeinschaft (DFG), he spent extended research stays at Rice University, Houston, TX in 1996/97 and 1999/2000. In 1996 he received his doctorate and in 2002 his Habilitation at TUM. The research of Michael Ulbrich centers on the theory, numerical methods, and applications of large-scale nonlinear optimization, PDE-constrained optimization and control, variational inequalities, and nonsmooth problems. His work is often related to applications, e.g., in the context of shape optimization and control of fluid flows, parameter identification, or the analysis of human motion. Michael Ulbrich is a PI and a member of the Steering Committee of the DFG Priority Program SPP 1962 ``Non-smooth and Complementarity-based Distributed Parameter Systems: Simulation and Hierarchical Optimization'' and a PI of the DFG/FWF International Research Training Group IGDK 1754 Munich-Graz ``Optimization and Numerical Analysis for Partial Differential Equations with Nonsmooth Structures''. He has published two monographs in the field of PDE-constrained optimization (MOS-SIAM and Springer) and an introductory book on nonlinear optimization (Springer). 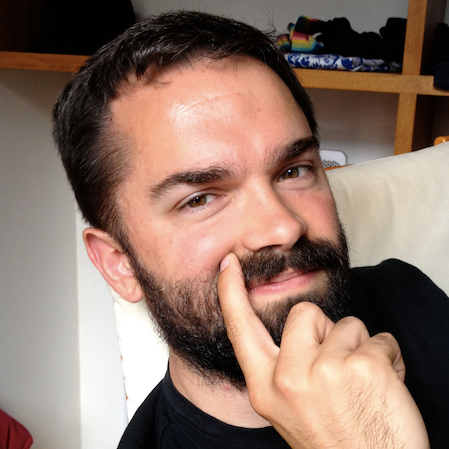 Michael Ulbrich received the Howard Rosenbrock Prize 2015 (with M. Simon). He serves on the editorial boards of Mathematical Programming Computation, SIAM Journal on Scientific Computing, Optimization and Engineering, and Numerical Algebra, Control and Optimization. The Douglas-Rachford algorithm is a popular method for finding minimizers of sums of nonsmooth convex functions; or, more generally, zeros of sums of maximally monotone operators. In this talk, I will focus on classical and recent results on this method as well as challenges for the future. Dr. Heinz Bauschke is a Full Professor of Mathematics at the University of British Columbia, Kelowna campus. His research interests lie in optimization and nonlinear analysis. Dr. Bauschke has authored more than 100 refereed publications. According to Mathematical Reviews, his book 'Convex Analysis and Monotone Operator Theory in Hilbert Spaces', co-authored with Dr. Patrick Combettes, is - in terms of citations - in the top 20 out of more than 18,000 books published in the past decade. Dr. Bauschke has also collaborated with engineers from industry, published in IEEE journals, and received two patents. One of the most important developments in the design of optimization algorithms came with the advent of quasi-Newton methods in the 1960s. These methods have been used to great effect over the past decades, and their heyday is not yet over. In this talk, we introduce a new advance in quasi-Newton methodology that we refer to as displacement aggregation. We also discuss other new advances for extending quasi-Newton ideas for stochastic and nonconvex, nonsmooth optimization. Frank E. Curtis is an Associate Professor in the Department of Industrial and Systems Engineering at Lehigh University, where he has been employed since 2009. He received his Bachelors degree from the College of William and Mary in 2003 with a double major in Mathematics and Computer Science, received his Masters in 2004 and Ph.D. in 2007 from the Department of Industrial Engineering and Management Science at Northwestern University, and spent two years as a Postdoctoral Researcher in the Courant Institute of Mathematical Sciences at New York University from 2007 until 2009. His research focuses on the design, analysis, and implementation of numerical methods for solving large-scale nonlinear optimization problems. He received an Early Career Award from the Advanced Scientific Computing Research program of the U.S. Department of Energy, and has received funding from various programs of the U.S. National Science Foundation, including through a TRIPODS Institute grant awarded to him and his collaborators at Lehigh, Northwestern, and Boston University. He currently serves as an Associate Editor for Mathematical Programming, SIAM Journal on Optimization, Mathematics of Operations Research, and Mathematical Programming Computation. He served as the Vice Chair for Nonlinear Programming for the INFORMS Optimization Society from 2010 until 2012, and is currently very active in professional societies and groups related to mathematical optimization, including INFORMS, the Mathematics Optimization Society, and the SIAM Activity Group on Optimization. During the last decade many efforts have been made to translate the powerful proximal algorithms for convex optimization problems to the solving of nonconvex optimization problems. In this talk we will review such iterative schemes which posses provable convergence properties and are designed to solve nonsmooth nonconvex optimization problems with structures which range from simple to complex. We will discuss the pillars of the convergence analysis, like the boundedness of the generated iterates, techniques to prove that cluster points of this sequence are stationary points of the optimization problem under investigation, and elements of nonconvex subdifferential calculus. We will also emphasize the role played by the Kurdyka- Lojasiewicz property when proving global convergence, and when deriving convergence rates in terms of the Lojasiewicz exponent. 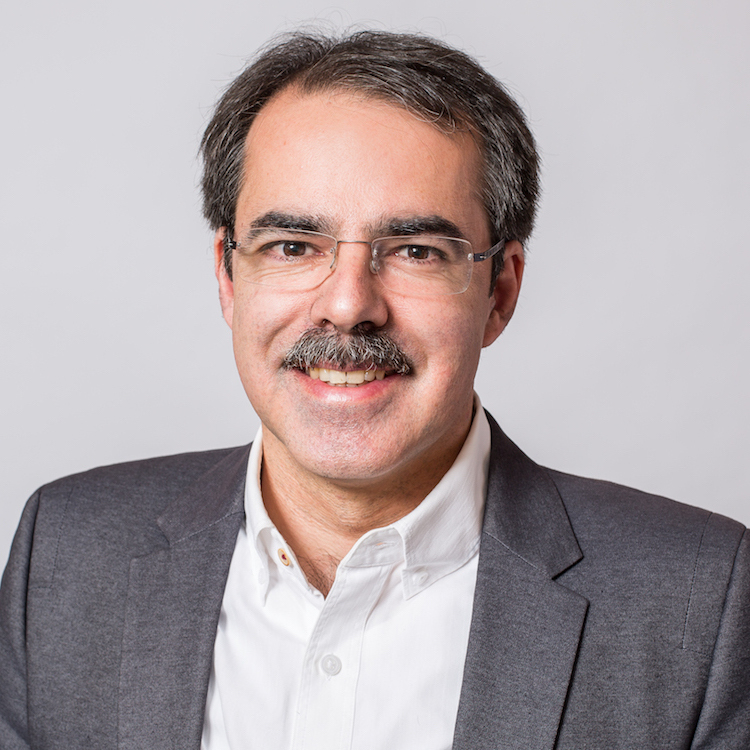 Radu I. Bot is Professor for Applied Mathematics with Emphasis on Optimization at the Faculty of Mathematics of the University of Vienna and Member of the Research Platform 'Data Science@Uni Vienna'. Currently, he is the Vice Dean for Research of the Faculty of Mathematics and the Speaker of the Vienna Doctoral School 'Mathematics' of the University of Vienna. He received a Diploma and a M.Sc. degree in Mathematics from the Babes-Bolyai University Cluj-Napoca, and a Ph.D. degree and the Habilitation in Mathematics from Chemnitz University of Technology. 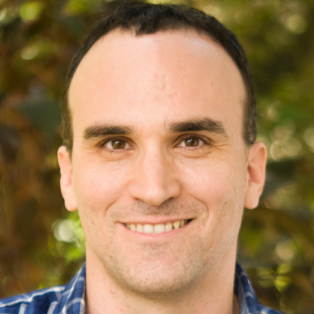 Radu I. Bot's research interests include nonsmooth analysis, numerical algorithms for convex and nonconvex optimization, monotone operator theory, dynamical systems, and optimization methods for data science. His research is funded by the Austrian Science Fund, the German Research Foundation, the Romanian National Research Council, the Australian Research Council, and by industrial partners. He is (co-) author of the books Duality in Vector Optimization and Conjugate Duality in Convex Optimization published by Springer. 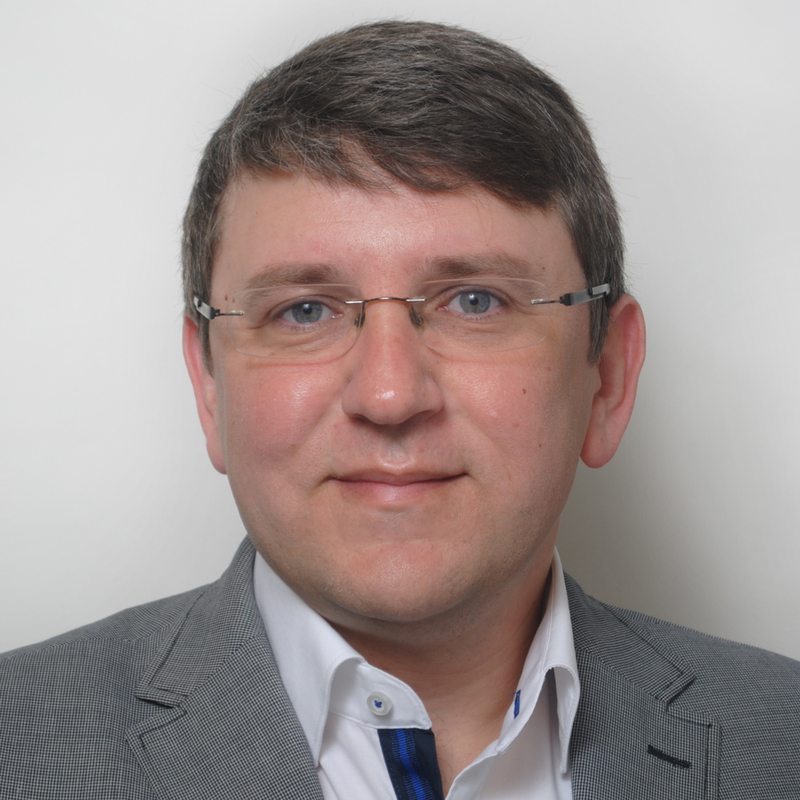 Radu I. Bot is member of the Editorial Board of the journals Minimax Theory and its Applications, Optimization Methods and Software, Optimization Letters, Journal of Optimization Theory and Applications, and SIAM Journal on Optimization. The theory of mean field games has been developed in the last decade by economists, engineers, and mathematicians in order to study decision making in very large populations of small interacting agents. The approach by Lasry and Lions leads to a system of nonlinear partial differential equations, the solution of which can be used to approximate the limit of an N-player Nash equilibrium as N tends to infinity. This talk will mainly focus on deterministic models, which are associated with a first order pde system. The main points that will be addressed are the existence and uniqueness of solutions, their regularity in the presence of boundary conditions, and their asymptotic behaviour as time goes to infinity. Piermarco Cannarsa graduated in Mathematics from the Scuola Normale Superiore and University of Pisa in 1979. Since 1990, he is a Professor in Mathematical Analysis at the University of Rome Tor Vergata, where he has been the advisor of 14 Ph.D. thesis. Cannarsa's scientific interests include partial differential equations, control theory, and nonsmooth analysis. His current research is concerned with control of partial differential equations, as well as regularity of viscosity solutions to Hamilton-Jacobi- Bellman equations and Mean Field Games. He authored about 130 papers in international journals and 2 books including 'Semiconcave functions, Hamilton-Jacobi equations, and optimal control' (with C. Sinestrari). Cannarsa has given plenary talks at several international conferences including the SIAM Conference on Control and Its Applications, the Congress of the Italian Mathematical Union, the IFIP TC 7 Conference on Systems Modeling and Optimization, the Congress of the Spanish Society of Applied Mathematics, the French-German- Polish Conference on Optimization, and the Viennese Workshop on Optimal Control and Dynamic Games. 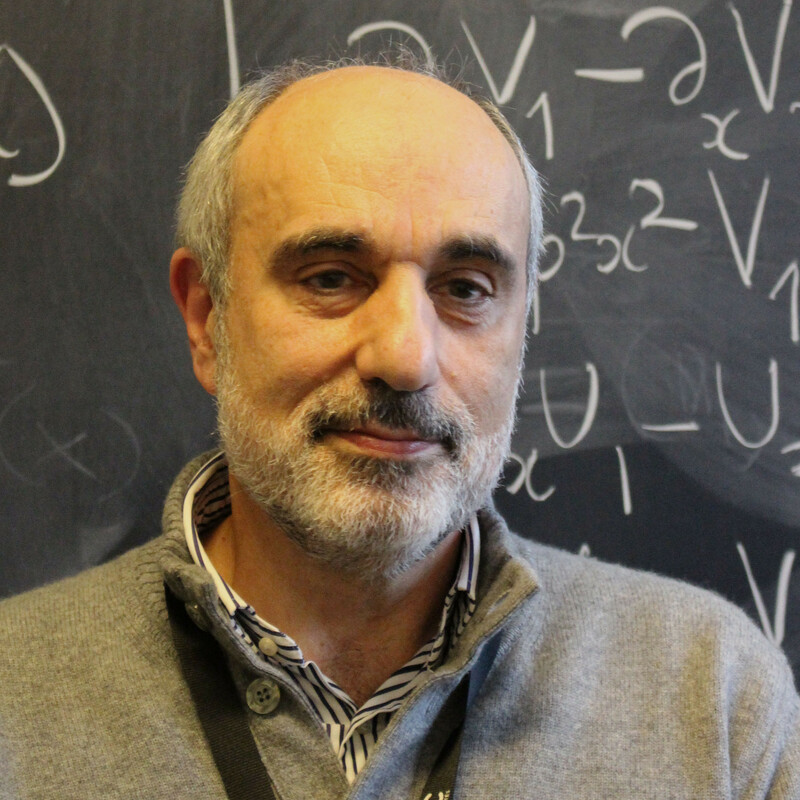 Since June 2018, Cannarsa is the President of the Italian Mathematical Union. Previously, for eight years since June 1999, he was the Vice-President of the Istituto Nazionale di Alta Matematica, a national institution for promotion of mathematical education and research. Since January 2018, Cannarsa is the Italian coordinator of the LIA COPDESC (Control, Calculus of Variations, Nonlinear PDEs, and Scientific Computing) on Applied Mathematics, an international laboratory issued by CNRS (France), INdAM (Italy) and Max Planck Institutes (Germany). Previously (2010-2017), he coordinated the Italian branch of the European Research Group (GDRE) between France and Italy on the Control of Partial Differential Equations (CONEDP). Cannarsa is the Editor-in-Chief of the Bollettino dell’Unione Matematica Italiana (Springer) and an editor of several international journals including Evolution Equations and Control Theory (AIMS), Mathematical Control and Related Fields (AIMS), Minimax Theory and its Applications (Heldermann), Nonlinear Analysis: Real World Applications (Elsevier), and Nonlinear Differential Equations and Applications (Birkhäuser). We analyze risk models representing distributional characteristics of a functional depending on the decision maker's choice and on random data. Very frequently, models of risk are non-linear with respect to the underlying distributions; we represent them as structured compositions. We discuss the statistical estimation of risk functionals and present several results regarding the properties of empirical and kernel estimators. We compare the performance of the estimators theoretically and numerically. Several popular risk measures will be presented as illustrative examples. Furthermore, we consider sample-based optimization problems which include risk functionals in their objective and in the constraints. We characterize the asymptotic behavior of the optimal value and the optimal solutions of the sample-based optimization problems. While we show that many known coherent measures of risk can be cast in the presented structures, we emphasize that the results are of more general nature with a potentially wider applicability. Applications of the results to hypothesis testing of stochastic orders, portfolio efficiency, and others will be outlined. Darinka Dentcheva is a professor and chair of the Department of Mathematical Sciences at Stevens Institute of Technology. She is also affiliated with the Institute of Mathematics at the Bulgarian Academy of Sciences. Dentcheva holds a PhD and a Doctor of Sciences (Habilitation) degrees from Humboldt University Berlin, Germany. Her current research interests are in the area of optimization under uncertainty and risk. She is passionate about education and has substantial contributions to new graduate curricula and new courses on both graduate and undergraduate level. 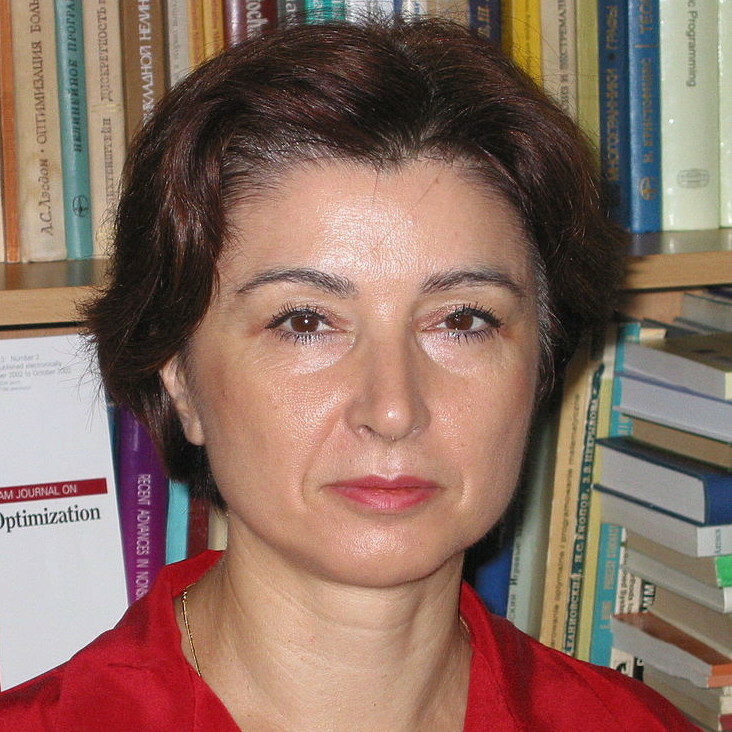 Darinka Dentcheva is an Associate Editor of SIAM Review, the Journal on Control, Optimisation and Calculus of Variations of the French Society of Applied Mathematics (ESAIM), Frontier of Applied Mathematics Section Optimization, and a past editor of SIAM Journal on Optimization. She is a past member of the Publications Committee of the Mathematical Optimization Society and of the Committee on Stochastic Programming of the Mathematical Optimization Society. Dentcheva is the recipient of the Davis Memorial Research Award and Research Recognition Award of the Board of Trustees of Stevens Institute of Technology. The oil and gas energy industry is witnessing a renewed interest in optimization technology across the value chain. With applications spanning exploration, development, production, and transportation of extracted material, there is greater awareness of the value optimization technology can provide. The questions of whether this resurgence of optimization in this sector of the economy is sustainable or is a part of the cyclic technology interest remains to be seen. This talk will provide an overview of some classical optimization models and other newer ones. Examples from the area of production optimization will be presented. Links to machine learning will be emphasized in multiple applications. Opportunities and challenges will be discussed. Amr El-Bakry is a Data Analytics and Optimization advisor at ExxonMobil Upstream Research Co. where he also serves as a Surveillance and Optimization advisor. He received his Bachelor’s degree in Mathematics from Alexandria University in 1984 and his Ph.D. in 1991 from the Department of Computational and Applied Mathematics at Rice University. He served in multiple academic positions from 1991 to 1998 between Alexandria University and Rice University before joining ExxonMobil. His research focuses on the design, analysis, and implementation of industrial optimization methods spanning NLP, MIP, MINLP, and PDE-constrained optimization problems. In the last ten years, his focus has been on the application of machine learning and optimization methods to production optimization problems. He served as the chairperson of the Society of Petroleum Engineer’s Data Analytics Technical Section (2015-2018). He currently serves as the Vice President of Industry for SIAM, on the Industry Advisory Panel of SIAM journal on the Mathematics of Data Science, on the editorial board of the Journal of Optimization and Engineering, and on the editorial board of the Society of Petroleum Engineer’s online publication on Data Science and Digital Engineering. In this talk, we will give an overview over optimization problems under uncertainty as they appear in energy management, together with global solution approaches. One way of protecting against uncertainties that occur in real-world applications is to apply and to develop methodologies from robust optimization. The latter takes these uncertainties into account already in the mathematical model. The task then is to determine solutions that are feasible for all considered realizations of the uncertain parameters, and among them one with best guaranteed solution value. We will introduce a number of electricity and gas network optimization problems for which robust protection is appropriate. Already for simplified cases, the design of algorithmically tractable robust counterparts and global solution algorithms is challenging. As an example, the stationary case in gas network operations is complex due to non-convex dependencies in the physical state variables pressures and flows. In the robust version, two-stage robust problems with a non-convex second stage are to be solved, and new solution methodologies need to be developed. We will highlight robust optimization approaches and conclude by pointing out some challenges and generalizations in the field. The main focus of Frauke Liers' research is on the development, the analysis and the implementation of global solution approaches in mixed-integer nonlinear optimization. In particular, she is active in robust optimization and puts emphasis on the development of algorithmically tractable robust counterparts for problems under uncertainty. Her work is motivated by optimization tasks with applications in logistics, in operations research, in engineering, and in the natural sciences. She received her doctorate degree in 2004 and the Habilitation degree from the University of Cologne in 2010. In 2012, she joined the Department Mathematik at the Friedrich-Alexander Universität Erlangen-Nürnberg as a professor. 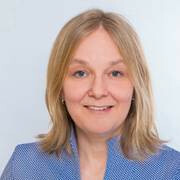 Frauke is member of the Editorial Boards of Discrete Optimization, Mathematical Methods of Operations Research, as well as Optimization and Engineering. She is principal investigator in the Collaborative Research Center 154 on mathematical modelling, simulation and optimization using the example of gas networks. Frauke coordinates the Horizon 2020 Marie-Curie Innovative Training Network MINOA on mixed-integer nonlinear optimization. Primal-dual interior-point methods for semidefinite programming, as implemented in widely used solvers, rely on the elegant theory of self-scaled barriers and the property that the dense symmetric positive semidefinite matrices form a symmetric convex cone. In applications it is very common that the constraints in a semidefinite program are sparse. It is natural to pose such problems as conic optimization problems over cones of sparse positive semidefinite matrices, in order to exploit theory and algorithms from sparse linear algebra. Examples of this approach are the splitting techniques based on decomposition theorems for chordal sparsity patterns, which have been applied successfully in first-order methods and interior-point algorithms. However sparse semidefinite matrix cones are not symmetric, and conic optimization algorithms for these cones lack the extensive theory behind the primal-dual methods for dense semidefinite optimization. The talk will explore new formulations of primal-dual interior-point methods for sparse semidefinite programming. It will mostly focus on the important special case of chordal sparsity patterns that define homogeneous convex cones. The talk is based on joint work with Levent Tuncel. 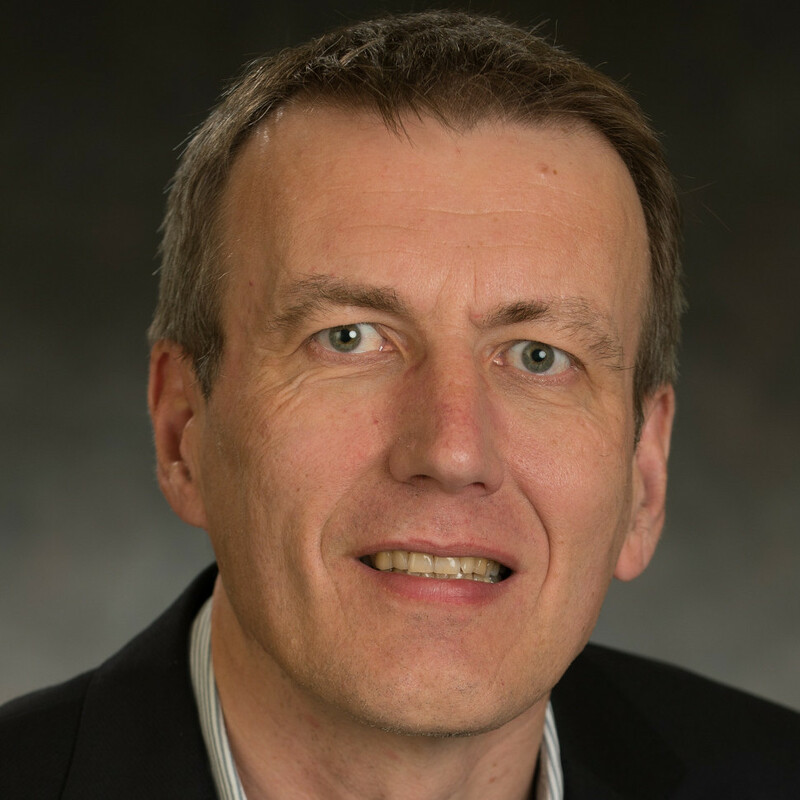 Lieven Vandenberghe is Professor in the Electrical and Computer Engineering Department at UCLA, with a joint appointment in the Department of Mathematics. He obtained the Electrical Engineering degree and a Ph.D. in Applied Sciences from KU Leuven in 1987 and 1992, respectively. He joined UCLA in 1997, following postdoctoral appointments at KU Leuven and Stanford University. He is the author of two books with Stephen Boyd: Convex Optimization (2004) and Introduction to Applied Linear Algebra --- Vectors, Matrices, and Least Squares (2018). The summer school from Aug 3-4, 2019 at TU Berlin is a part of the ICCOPT 2019. To participate in the summer school, check the respective button during the registration and payment process. After May 15, 2019 no refund. Refunds will be arranged before September 15, 2019. All attendees, including cluster and session chairs and speakers, must register and pay the registration fee. One-day registration is not available. Your registration fee includes admission to the summer school (if registered in advance), all technical sessions and plenary presentations, welcome reception and coffee breaks. Your registration fee does not include the banquet. When you register for the conference, you can purchase tickets for yourself and your guest(s). On site registration will be available with an extra service charge of EUR 50. Travel assistance funds and free participation grants will be available for important contributors who would not otherwise be able to attend ICCOPT and for student contributors to ICCOPT upon application. Information on German Visa Regulation can be found here. We provide invitation letters upon request for participants who have registered the conference with approved scientific contributions. In that case, please check the visa regulations, and send us the necessary data which are explicitly needed (e.g. birth information) in the invitation letters. We need in particular your name and affiliation, and the ID or title of your contribution. Make shure that the payment of conference fees was successful. Please send your requests to . All public transportation in Berlin is run by Berliner Verkahrsbetriebe (BVG). Participants of the ICCOPT 2019 are provided a travel pass which allows the use of any public transportation, i.e. bus, tram, subway (U-Bahn) and suburban trains (S-Bahn) within Berlin during the conference period. The Technical University of Berlin (TU Berlin) is a research university located in Berlin, Germany. It was founded in 1879 and became one of the most prestigious education institutions in Europe. The university is known for its highly ranked engineering programmes, especially in mechanical engineering and engineering management. The university alumni and professor list include US National Academies members, two National Medal of Science laureates and ten Nobel Prize winners. The Weierstrass Institute for Applied Analysis and Stochastics (WIAS) is a German research institute within the Leibniz Association with a long tradition. In 1946 it became a member of the German Academy of Sciences in Berlin, following the Prussian Academy of Sciences, which was founded by W.G. Leibniz in 1700. The WIAS conducts project oriented research in applied mathematics with the aim of solving complex problems in technology, science and economy. The institute is located in the city centre of Berlin, and it hosts the permanent office of the International Mathematical Union (IMU). 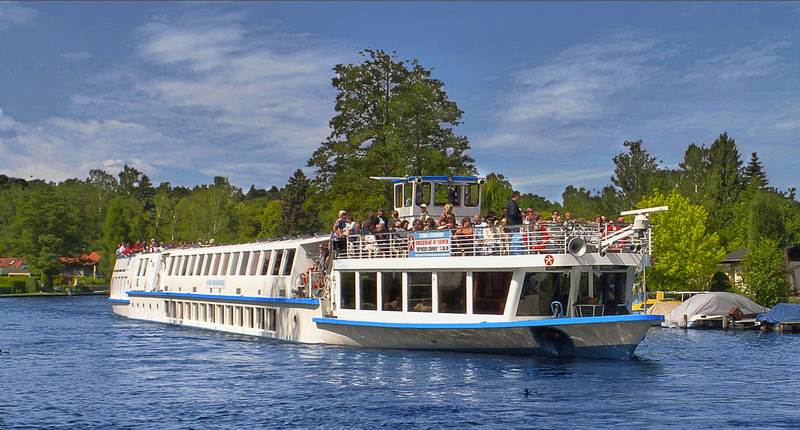 The Conference Dinner will take place on the boat "MS Mark Brandenburg" on the river Spree. Starting point is at Gotzkowskybrücke, a bridge in 20 minutes walking distance from the conference venue, see map above. We will then cruise through the city of Berlin while having dinner from buffet with modern German food. The menue contains also vegetarian options. If you need a special diet, please inform us in advance via email to . can be be purchased via the ICCOPT registration at TUBS. The capacity of the river boat is restricted to 350 places. Please book your dinner participation via the ICCOPT registration at TUBS. The neighbourhood of TU Berlin offers a high density of hotels with a price range of about EUR 40 - 90 per night. We have reserved room contingents in the hotels below. Please note, that we did not hire any company for the organization of your accommodation. In particular, emails with offers to organize your hotel stay are fake. What is the minimizer of f(x) = (x-1)2, where x is a real number? We also encourage you to book your accomodation on your favorite platform.